​Heart conditions fall into the soft tissue category. For this category, the basics are the Healthy Brain & Heart pack - and depending on what else is going on, there will be other add-ons such as the Ultimate Daily, the Cardio-FX, and the D-Stress. For circulation support, add the Ultimate Daily, and the Good Herbs Circulatory Formula. For clearing out the arteries, Dr. Wallach recommends repairing the cracks on the arteries. For artery support, he recommends the Ultimate Daily along with the Good Herbs Circulatory Formula. Ultimate Daily – Dr. Wallach likes to call the Ultimate Daily the “roto rooter” for the cardiovascular system. 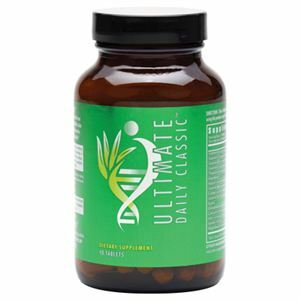 The Daily is a blend of amino acids and b-vitamins that support the body’s ability to repair the arteries and increase circulation. The Dailys act as a type of oral chelation therapy. By increasing circulation and providing the extra slower absorbing vitamins, we can see improved kidney function, more energy, and cleaner blood as the body’s detox systems are able to function better. 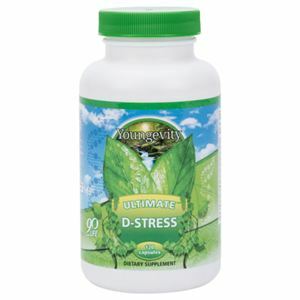 The Dailys contain nutrients that naturally support the body’s ability to maintain normal blood pressure. 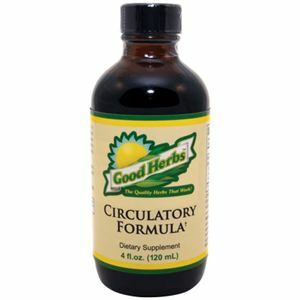 Good Herbs Circulatory Formula – This formula supports the flexibility of the arteries and artery walls. It helps to relax stressed arteries, muscles and veins. The herbs in this formula support normal blood pressure and improved blood flow. It increases both the flow of blood and oxygen to the brain and other areas of the body. The Circulatory formula contains herbal nutrients that provide increased memory and brain support. The circulatory system is responsible for the transportation of blood, oxygen, and nutrients. By improving circulation, the body is able to carry more blood, oxygen, and nutrients to the area where they are needed more effectively and faster. This speeds up the time required for repair and increases the body’s ability to heal itself. 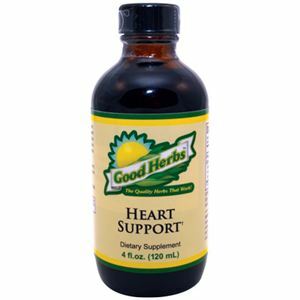 Good Herbs Heart Support – This formula is specific to the heart itself and improves oxygenation to the heart. It contains cayenne – a well-known stimulant that helps to carry all other nutrients to the area of need more quickly and efficiently. It also contains hawthorn which is known in the herbal kingdom as THE heart herb. This product is often used in conjunction with the Circulatory Formula. The Circulatory formula specifically provides artery and vein support. The Heart Support is best for supporting the heart muscle and supporting a healthy heartbeat. D-stress - is the number one product to support “healthy elimination of fluids from the cells” and it’s this fluid buildup in the cells that can lead to some types of heart failure, Dr. Wallach says. When there is enlarged tissue, this product can support the body's natural ability to relieve excess fluid. The D-stress also offers lots of b-vitamins and adrenal substance to support healthy adrenal function and energy production. 1) Rub 1 drop of the Peppermint oil over the heart area to dilate the capillaries and increase circulation. 2) Rub on 1/2 tsp. of each of the Good Herbs tinctures. For soft tissue support, this could be the Good Herbs Circulatory Support and Heart Support. Both products can be used at the same time. 3) If the area is moist, in 20 to 30 seconds move to step 4. If the area is still dry, repeat steps 2 & 3. This is to see if the body is asking for more. In some circumstances, this may be repeated 3 or 4 or more times. 4) Once the area is moist (saturated) then seal it by applying the CM Cream. Sealing helps to drive the nutrients and herbs deeper into the body to speed up recovery and healing. This protocol has been used very successfully by physicians and when it's used in conjunction with the Healthy Brain and Heart Pack, the Daily, and internal use of the Good Herbs products, provides the fastest and most effective results. The second option is to make a “Turbo” Heart Support CM Cream. How do I use the recipe? Note: For acute situations, the Heart and Artery Support Recipes can be used 4-6 times a day on chest, back and bottom of feet. ​It is imperative to clean up the diet to prevent further damage. Dr. Wallach explains that it is nutritional deficiencies, gluten, oils, and fried foods that have caused the damage to occur in the first place.